Instagram recently said it now has over a billion active users, and from the looks of it the Facebook-owned service is not planning on slowing down the relentless pace at which it keeps adding new features. The social media giant’s latest assault on video-oriented platforms such as Snapchat and FaceTime has launched. A long time after enabling its users with the Direct message feature, Instagram is now finally enabling video calls on its platform. The feature has been a part of rumours for a quite sometime now. However, the first official information about the launch came during Facebook’s F8 Developer conference back in May. 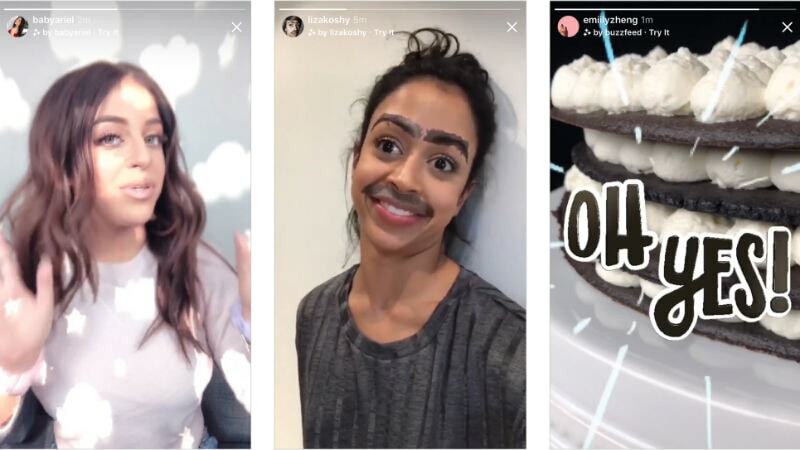 Now, on the heels of the IGTV launch, Instagram has now announced Video Chat, alongside other new features such as a new Explore tab with channel topics, and new camera effects. Instagram had announced all these features at the event last month. First up, is the Video Chat feature in Instagram Direct. You can now video chat in Instagram Direct, either with one person or a group. The video chat feature has started rolling out in the Instagram mobile apps. You can chat with up to four friends at a time, straight from Direct, by tapping the new camera icon in the right corner. Notably, it works across Android and iOS devices. To start a video chat, go to your Direct inbox and open the message thread of the person you wish to chat with. Tap the new camera icon in the right corner, and the video chat will ring that person’s phone. While on the video chat, you can minimise the video and multitask on Instagram, such as sending messages and images in Direct, browsing your feed, posting a story, and more. Instagram says, that the video chat feature “is perfect for groups.” As mentioned, you can video chat with up to four people at a time, and the video will expand as more friends join. Also, if there is an active video chat in a group thread, the camera icon will turn blue. You need to tap the camera to join the conversation. Notably, there is no time limit for the video chat. To leave the video chat, tap on the red phone icon at the bottom. It is worth noting that you can only video chat with anyone that you have an active Direct thread with. If you block a person, they will no longer be able to video chat with you. There is an option to mute a particular contact. In order to update your video chat notifications, tap the gear icon on profile and find the new video chat control in Push Notifications. Coming to the AR Camera Effects, they have been designed by Instagram partners, the likes of Ariana Grande, Buzzfeed, Liza Koshy, Baby Ariel, and NBA. You will have to follow any of those accounts in order to automatically see their specific effects in your Instagram camera. You can also tap to try one and then add it to your camera if you like it. Instagram users who don’t follow a participating partner will be able to find and add the effects by checking their friends’ Stories using those effects, or any direct messages including those effects. Finally, Instagram is also rolling out one more feature promised at F8. 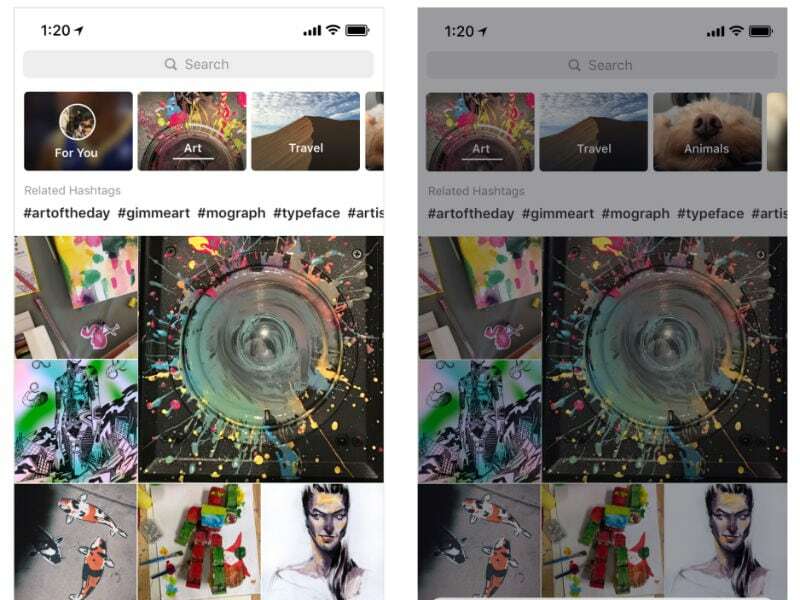 Earlier this week, Instagram was reported to have started a rollout of a redesigned Explore tab in the app. Instagram has officially announced the rollout now, and said that the Explore page will now be segmented to show a variety of topic channels that reveal associated content below. The company said that more than 200 million people visit ‘Explore’ every day. Instagram says that with topic channels, you can be more intentional about how you navigate posts on Explore. As reported earlier, these new topic channels range from “Sports, TV and Movies, and more.” Additionally, there is a new ‘For You’ section that features a collection of curated posts from other users, and these too are based on your interests and past behaviour. You can also remove a topic channel. To do that, press and hold the channel and select ‘Mute’ from the menu. This sends the channel to the end of the tray, giving you the option to unmute it at any time.